That is one of the sexiest things I have ever seen. Good job man, very nicely done. Now, please tell me what you do for a living and also, are you hiring =). I started an ecommerce business in college that sells electronics like phone chargers. Have 15-20 full time employees these days. Last edited by dallasreed; 08-12-2015 at 02:53 PM. Have the car in Indianapolis now. Had some intimate time with the quaife sequential on the street, since I've been asked about that a few times. The sequential on the street.. Really it is fine functionality wise. It is not much different than a motorcycle. Even the part where I currently don't have an indicator for what gear I'm in, which also makes things interesting but is not a big deal. I am hoping I can get the racepak to talk with the AEM on that as the racepak has a nice gear indicator right in the middle that is currently not functioning. That said, the lack of gear indicator is not a big deal, same deal as on a motorcycle, if you get lost you can shift up to top gear and work your way down, or work your way down to neutral when your at a stop if needed. The only substantiative complaint I would have is it is VERY LOUD. Louder than the engine in normal driving. In my opinion it is too loud for your typical comfy street car. It is comically loud, even with the custom firewall with a ton more sound deadening than usual. That said I am OK with it. The noise makes the car that much more menacing. It's very fun to shift through. If there is a set of quiet helical gears with decent ratio I may switch down the road. Or maybe not. Really for a car that sees mostly street I think the E153 may be the better choice just because its forgiving on shifts because it has syncros and is quiet. The lack of syncros is not really much of a problem, but if your sloppy on your downshifts the car can step out, and the syncro trans is quite a bit more forgiving as far as that goes. Breaking loose because of not rev matching well can also be fun however. 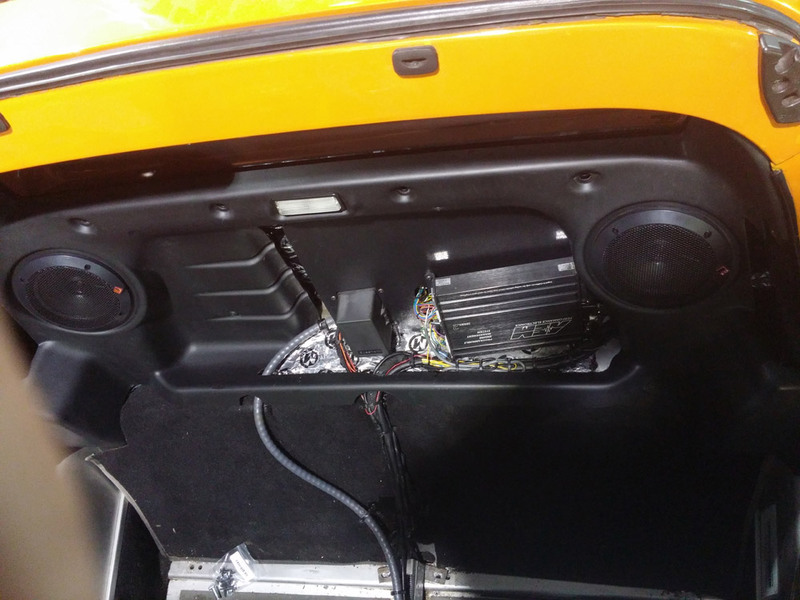 The loudness is just not your normal situation for a street car. 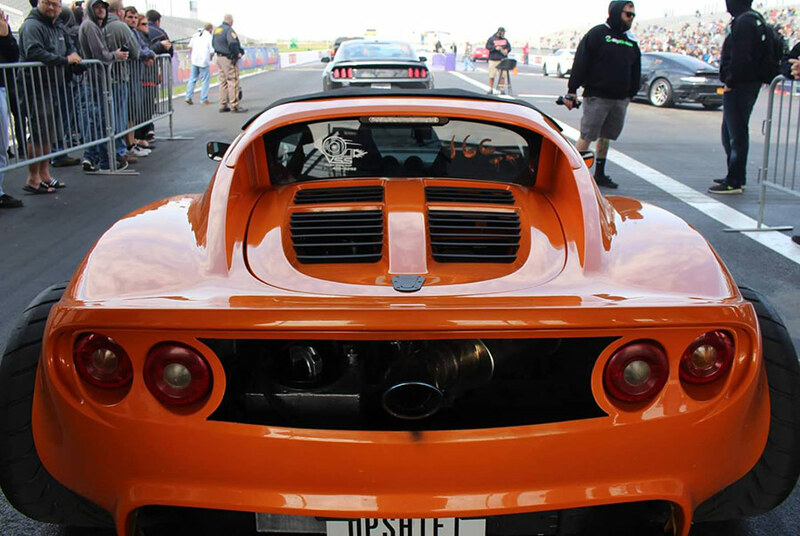 I mean an elise is typically loud and rattly but the sequential takes it to a whole nother level. That said, I think for serious performance where you care about more than just 2nd gear I think this sequential is the fastest choice. For a strictly race car I think this would be the best choice. If the trans was as quiet as your typical syncromesh trans it would be hands down to the sequential for everything. 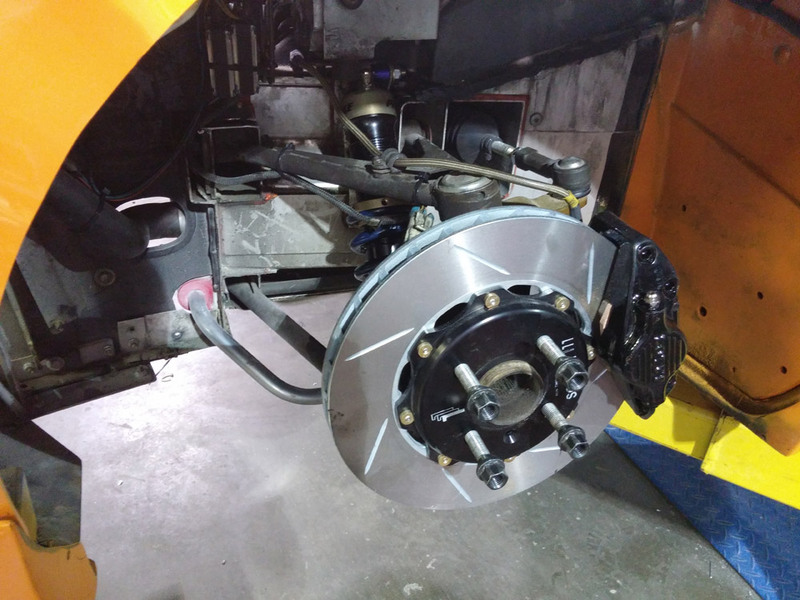 I think it is the right trans for this particular car, as the noise just adds character as far as I am concerned, and for the racing I am planning to do with it, it will make a substantial difference. For my autocross car, since I only really care about 2nd, and the E153 is quite a bit cheaper than the sequential I think it is the right choice there. It likes to step out when you get into the power, of course. Looking forward to getting the 335 R888s on there instead of these 245 nt555rs. I am not too keen on the custom leather wrapped interior. Its a bit shoddy in my opinion. Fernando was more or less of the same opinion there, and had already converted some of the interior back to stock. 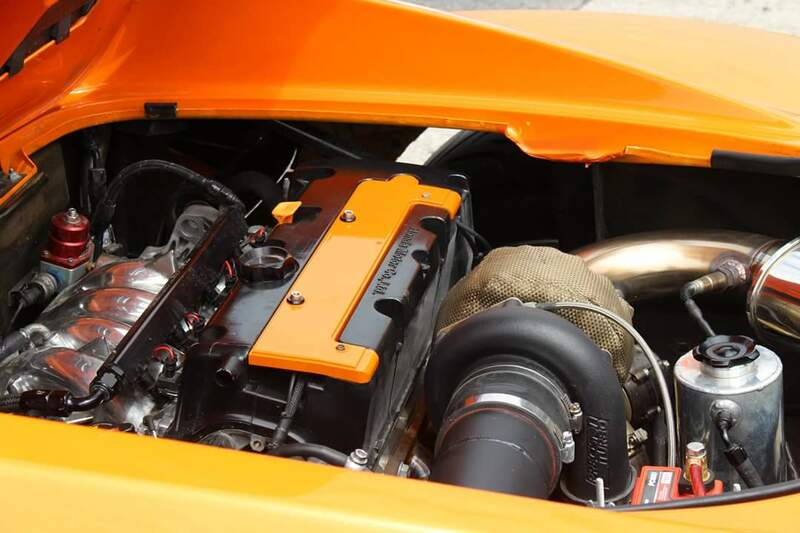 However, I think pretty much the vast majority of the effort by him was focused in the engine bay as it is clean, well organized, and generally well done and overkill (especially in the important parts) as far as I can tell. Cosmetically the car needs some work. 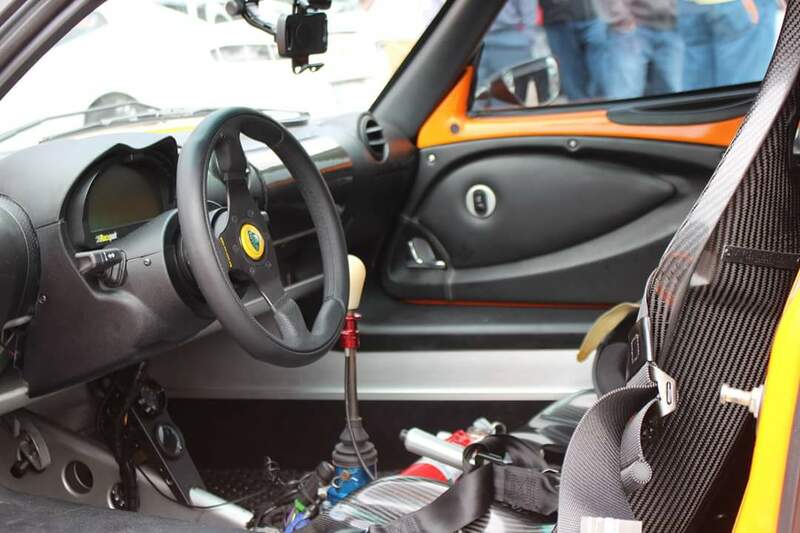 Going to go with tecnocraft t3 like in my other car as I like those the best of any lotus seat I have tried, delete the center console and related plastics for a bit more racy look that goes with the sequential and a mixture of CF and oem for the rest instead of leather. Add an extinguisher. Change to shroth 6pt in the drivers seat. Rubbertite floor mats, aluminum carpet buttons. Move the afr gauge in the far left vent to be next to the fuel gauge in the gauge pod and restore functionality to the AC. 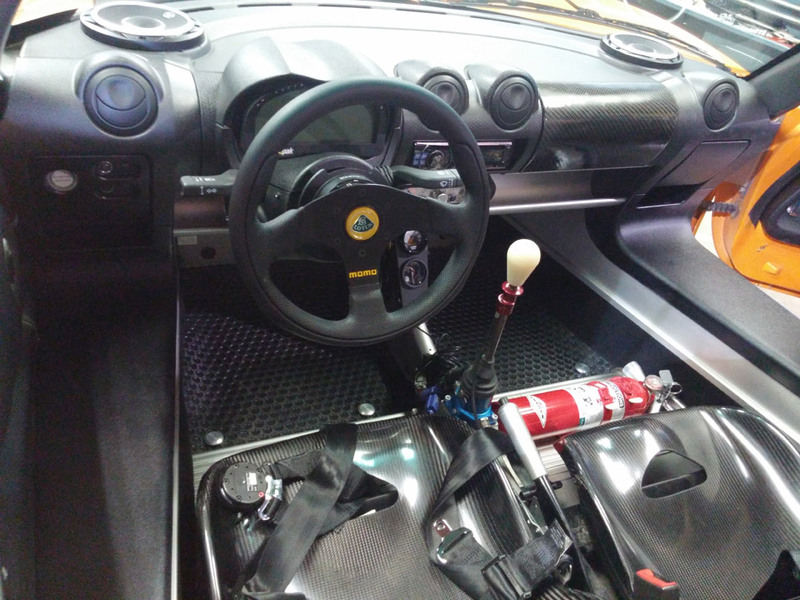 Probably swap this tiny flat bottom sparco wheel into the autocross car and move the momo team to this car etc etc. The alignment is way off ideal as far as handling goes, the car handles about the same as an with a factory alignment which it probably has, or maybe a decent alignment wasn't done after the BC shocks were added, as far as I can tell in my brief testing of the handling on the street. It is a far cry from my autocross car for sure. Going to do some work there. v2arms, proper alignment, proper springs, lower (or maybe raise, I haven't measured yet) to 120mm, already has spherical bushings. Maybe add a big sway bar depending on how things feel with the big tires. Been too busy with my autocross car to do much about this. Probably after nationals. Think I will leave the engine bay alone mostly at this point as I had King's take care of most of my concerns there, save for maybe some modifications to the ice water tank, getting a better seal and increasing the capacity substantially. Last edited by dallasreed; 08-18-2015 at 09:28 PM. 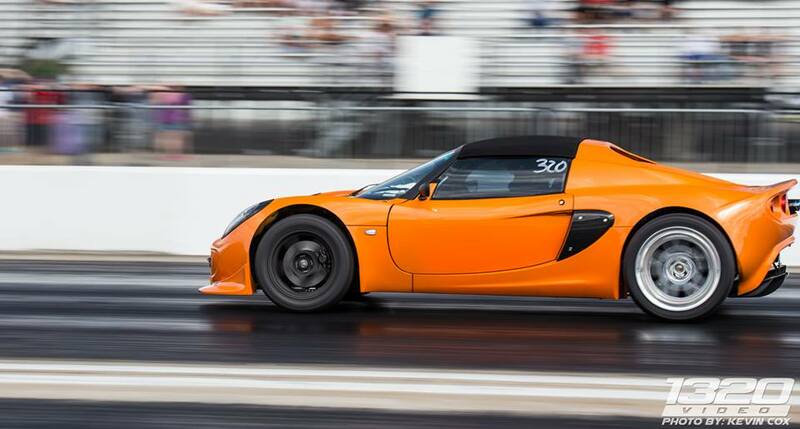 This car is a whole new level of fast. It literally goes from zero to warp speed faster than you can comprehend.... and that was only first gear. I refused to take my Elise to lunch today. This may have been one of the fastest cars I have ever rode in, or at least felt like it! This may have been one of the fastest cars I have ever rode in, or at least felt like it! [email protected] with a soft launch. 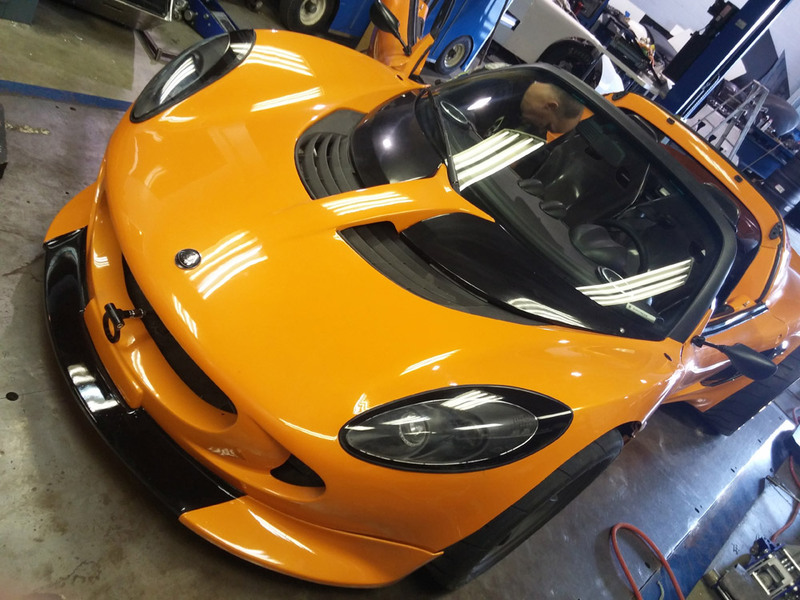 That puts it in in the same league with the veyron super sport, mclaren p1, 918 spyder, laferrari, atom v8 as far as production cars. I have little doubt it would do 8s with good tires and a low 60' drag launch. Still not sure I want to chance that without a cage and chute at this point as I like not being dead. Even on 15psi/pump gas it is running low 10s. Last edited by dallasreed; 08-19-2015 at 07:24 PM. 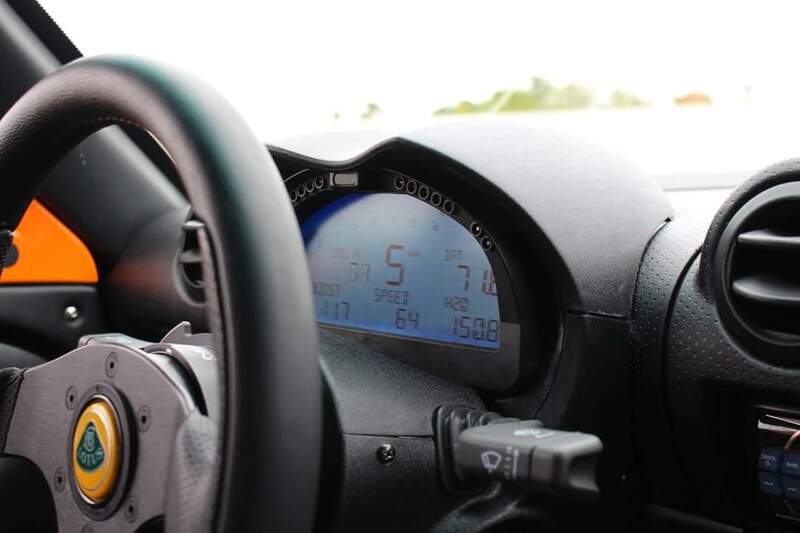 Peak boost is determined by ethanol content. <30% it is limited to 15psi. at around 75% it maxes at around 31psi. Scales in between. I just found this thread...holy cow!!! That is seriously fast. Most impressive build list going on there. I can honestly say...good luck staying in one piece. 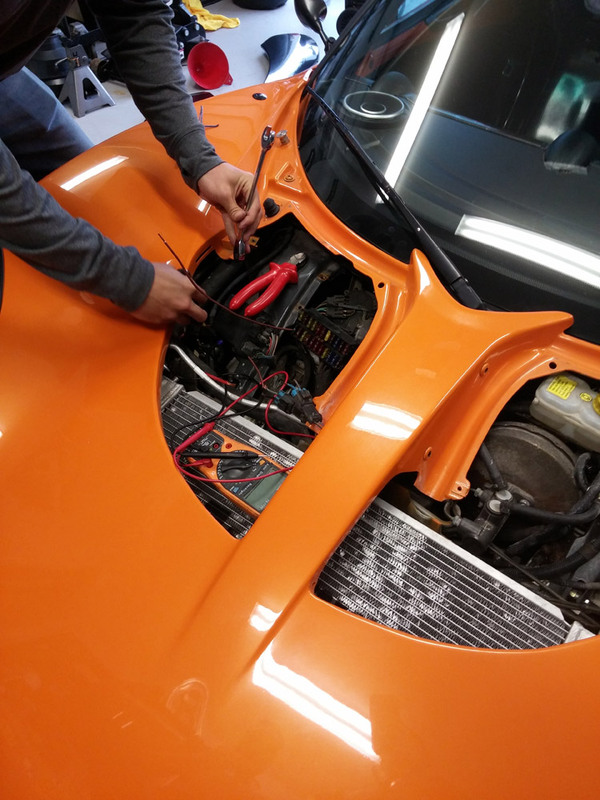 Now that winter has started and I'm not preoccupied with running my supercharged car every weekend I have some time to really go to town on this car. really I will be mildly surprised if it doesn't hook decent with 335s though. They are stupid big. The cooling system I think will need some work. I haven't really pushed it at this point to see if or how big of a heat issue there is for serious performance driving. 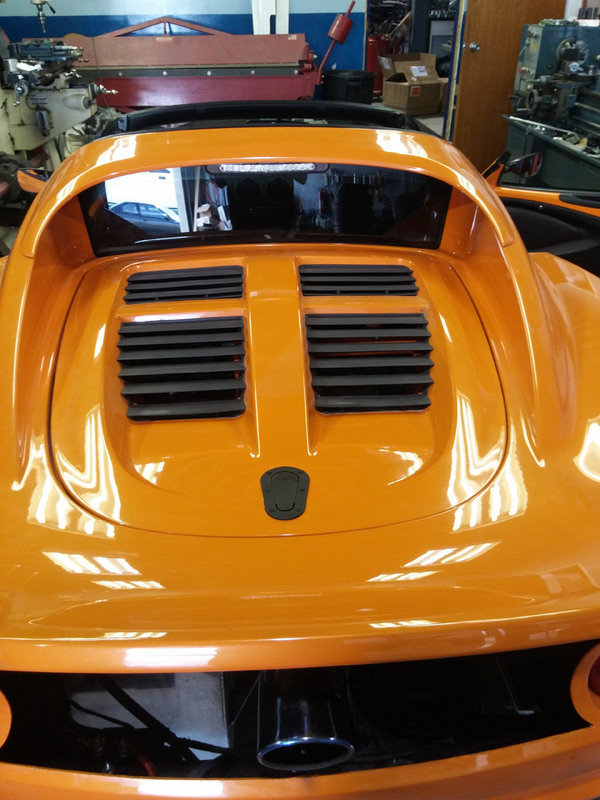 In the current state it has a big heat exchanger where the exhaust would normally be, ducts in the undertray feed it air, and it vents out the rear panel and a hole in the diffuser. The intake and a big intercooler take up the drivers side scoop. The passenger side scoop is free and clear. I may put a heat exchanger there as well as in the front. Maybe use rev400 parts or source my own. And possibly add capacity to the water tank. Probably going to need bigger axles. Flares and body work will be a function over form situation until I have the car dialed in which probably won't be until summer. Last edited by dallasreed; 11-11-2015 at 05:53 AM. Keep us updated with pics of the progress. Yeah, its one of three projects at this point, and probably not the biggest. 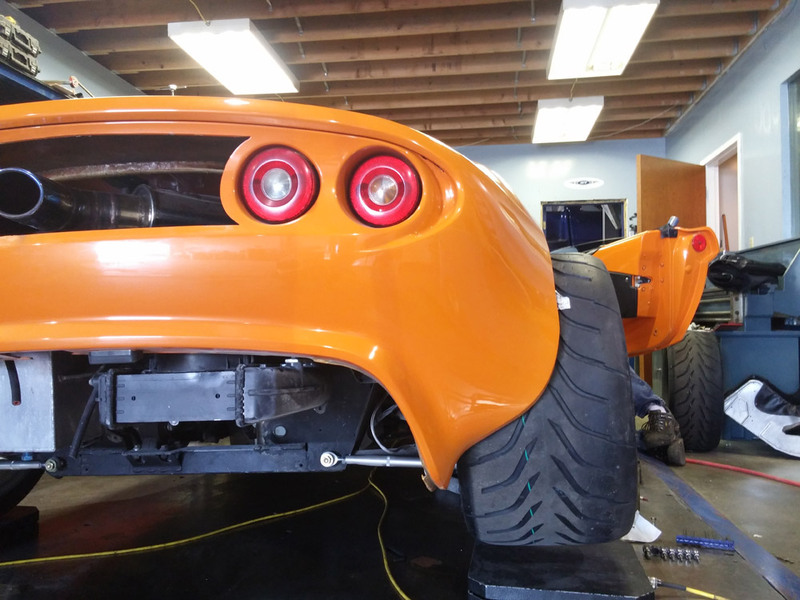 I will also be adding some power to my supercharged elise and reassembling a gallardo. Gallardo reassembly will probably involve boost and lots of it. 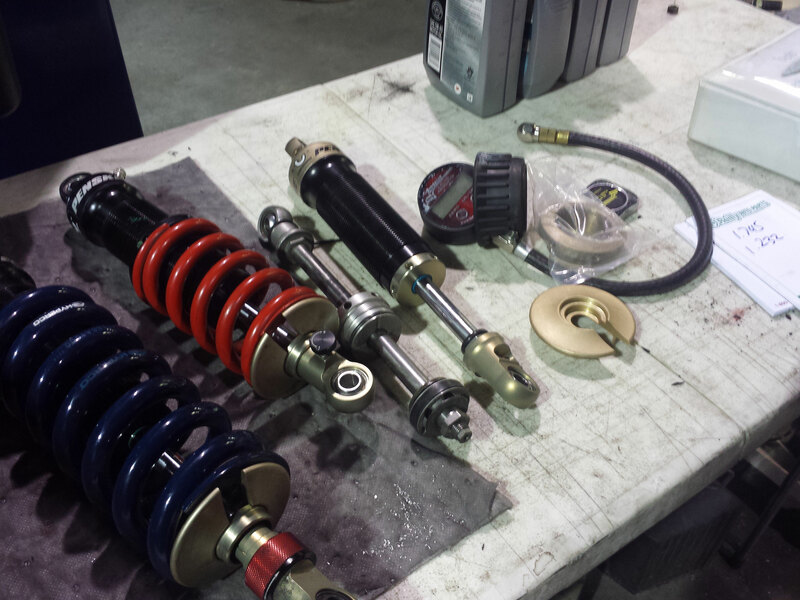 I'll be outsourcing some of the wrench turning on all of these projects to a couple local race shops. I'll be doing all the R&D regardless, and will probably do some of the work in tuning all three cars. Last edited by dallasreed; 11-11-2015 at 06:29 AM. 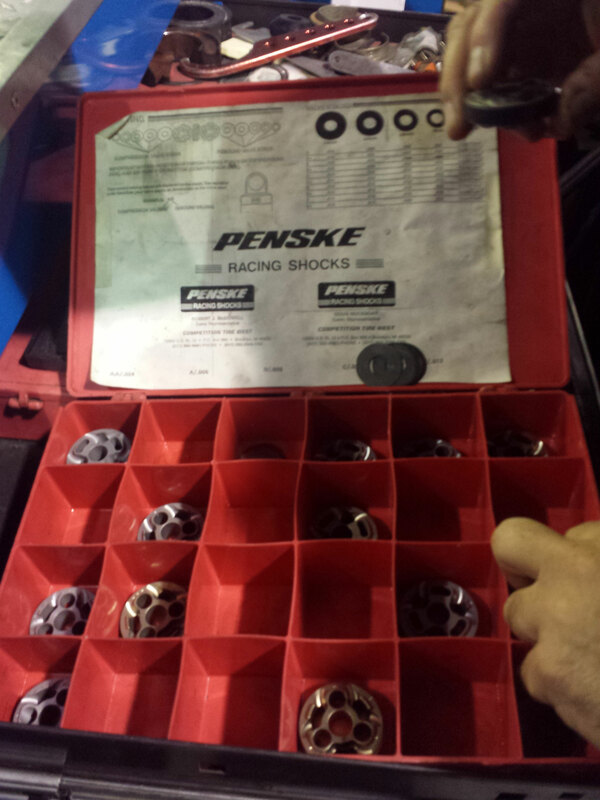 Building shocks. 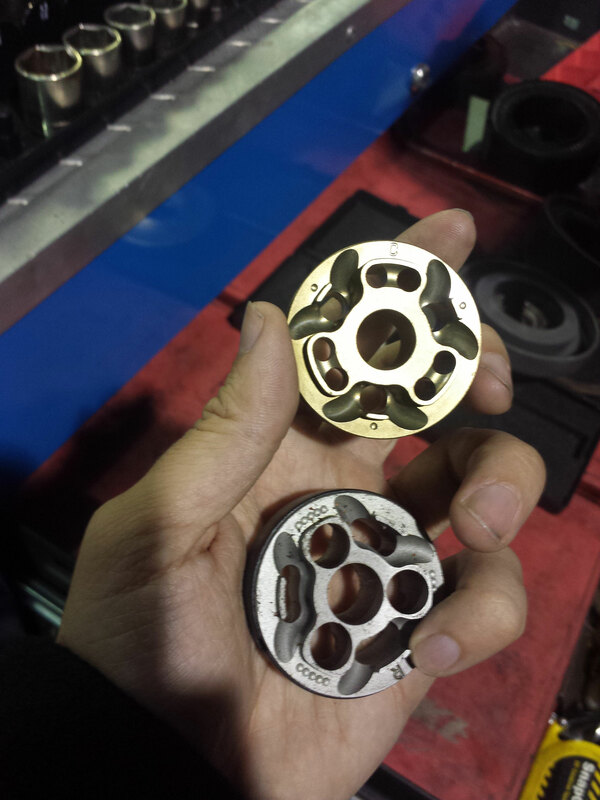 Going to be experimenting with a couple different kinds of pistons and valving. I will have a DIY set on both my supercharged 2zz car, and on this car, and at least one extra set. Will have slightly different configuration in the extra set so I can swap at the event and see how things feel back to back and do progressive changes. I have a set of doubles from BWR I ran last year, and they are quite excellent, based on where the rebound and compression adjustments ended up and felt the best as well as my notes, few rounds of dyno, and everyone else that drove the car I will be changing the pistons and valving for a bit more midrange and a bit more flow up top (and less harshness up top) compared to BWR's setup. 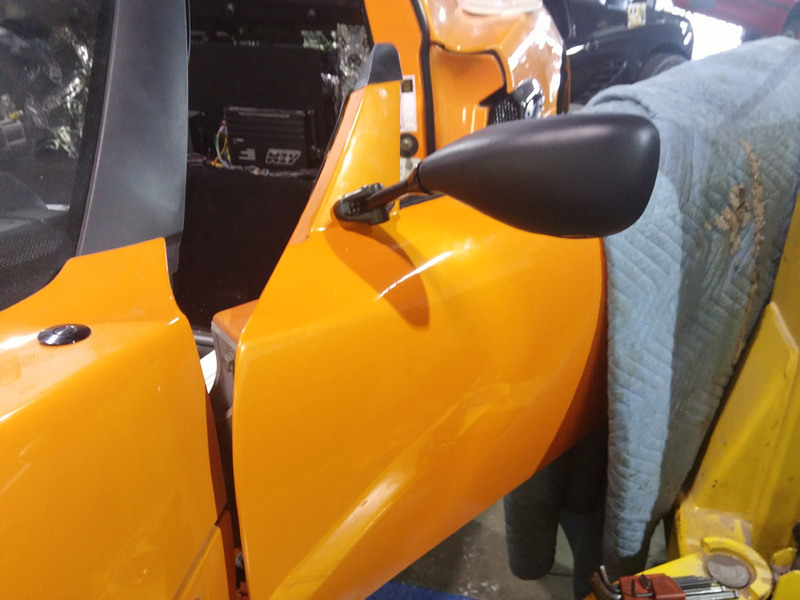 Will not be using the hand adjusters moving forward, although convenient I have a bit of a (paranoid) concern that they could get knocked off by road debris. Spring rate is still a work in progress but last time out I ran 550/1000 and that has been best so far. Still a bit more platform movement in the front than I think there should be though, but it feels very balanced. 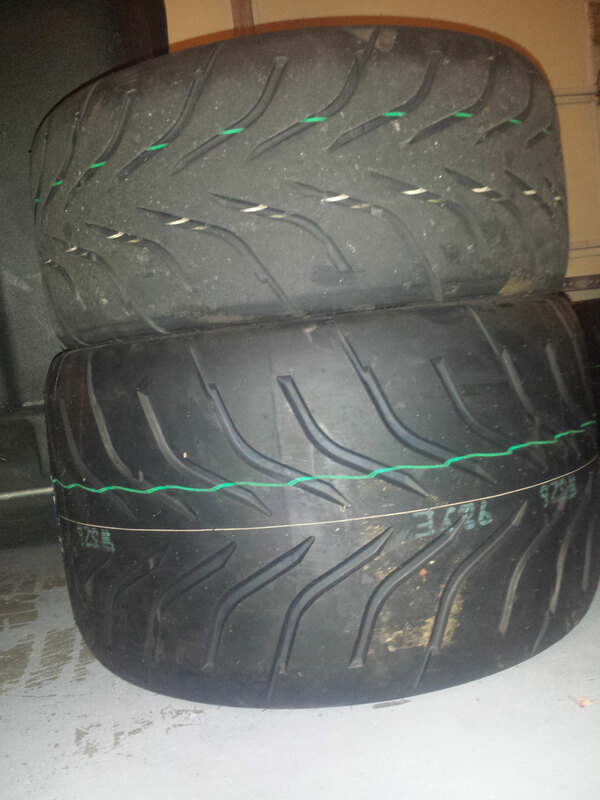 The rubber I'm running first time out is in 245/335. Probably not the best photo to get the scale of the size of these tires but they are BIG. Amusingly, these are the standard sizes for a Murcielago LP640. The front is now the size of the rear I was using back when NA. Last edited by dallasreed; 11-17-2015 at 04:45 AM. Um.... Where do you find the time!? Rad man. I'll be happy to tune the engine and work on my driving this year. Kubera and 275 Turbo like this. 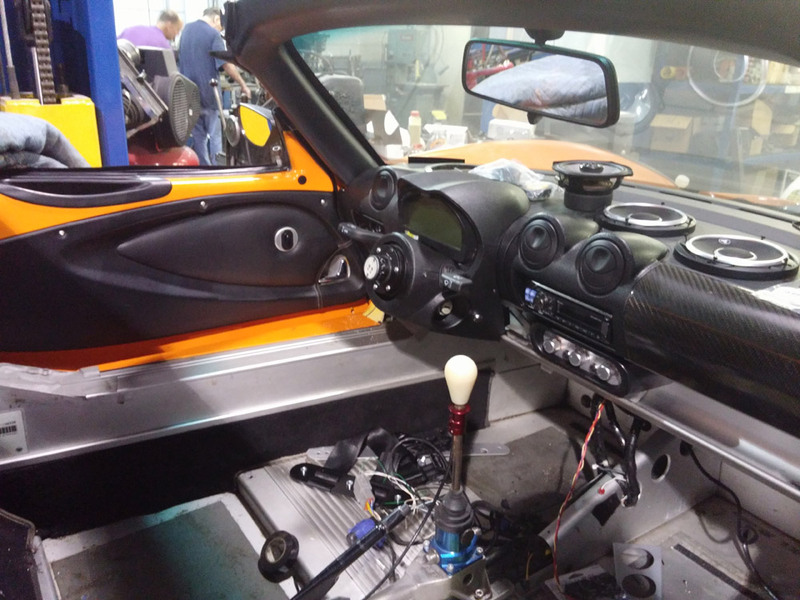 Some development progress on this car leading up to tx2k. Mostly was reworking the suspension. 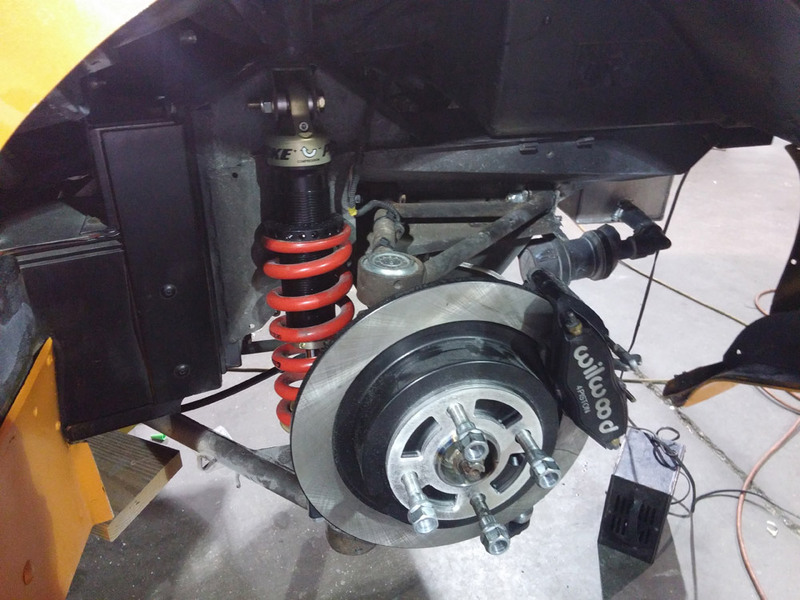 Refreshed all the bushings, balljoints, put 40mm uprights on the back, extended ball joints on the front, penskes with 600lb front 1000lb rear as a starting point, adjustable sway bar, etc etc. I don't think any of this did any favors at the drag strip but I don't think it hurt either compared to what was in it before. 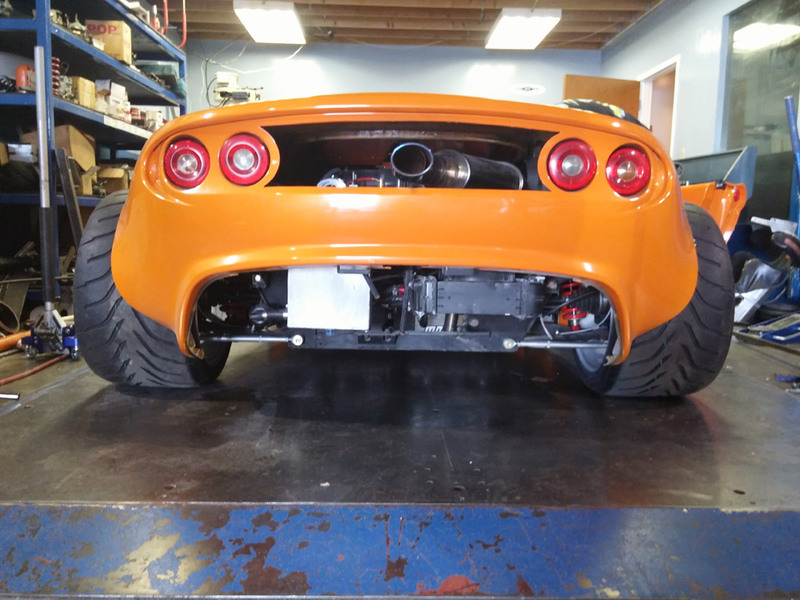 Also mounted 245 front r888 and 335 rears. Redid the interior a good bit also. Didn't run any real good times other than a 120mph 1/8th. Really was just getting a feel. 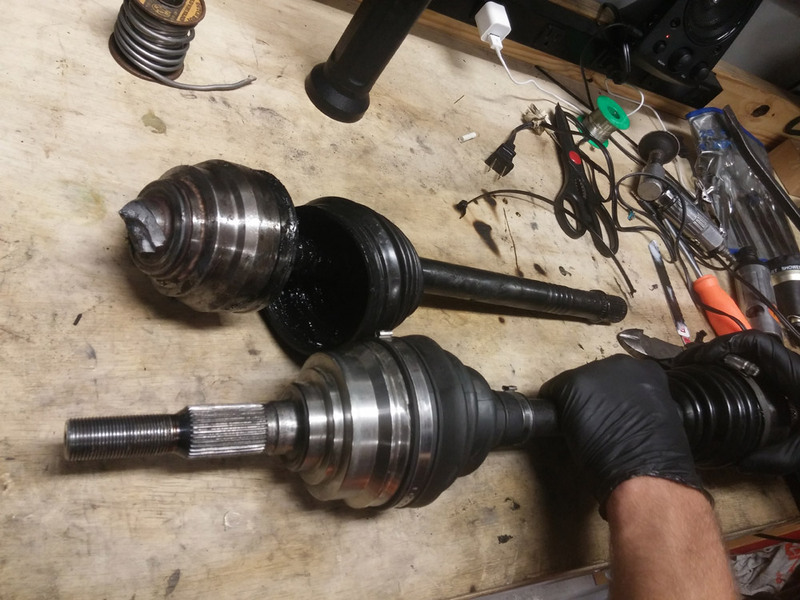 Did a couple babied launches to get a feel of things then did a clutch drop launch around 4000 rpm or so and snapped an axle. 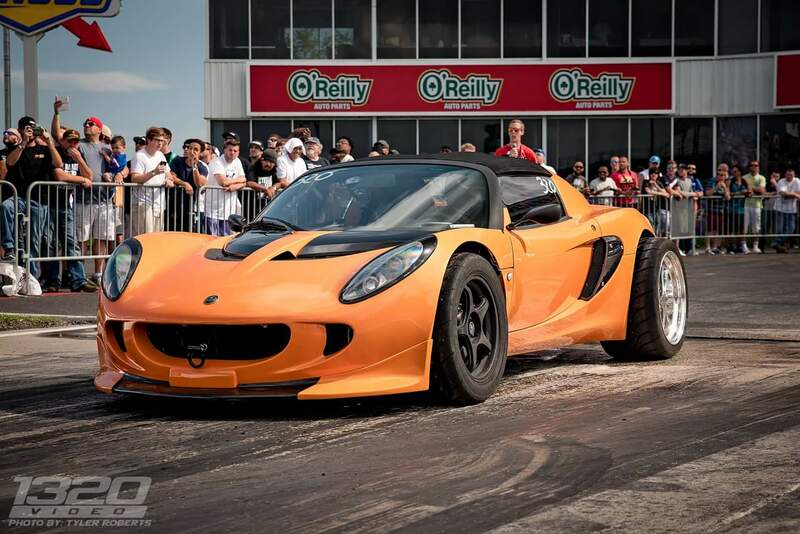 The axles are 500hp rated from insane shafts. They will be getting replaced with 1000hp version. 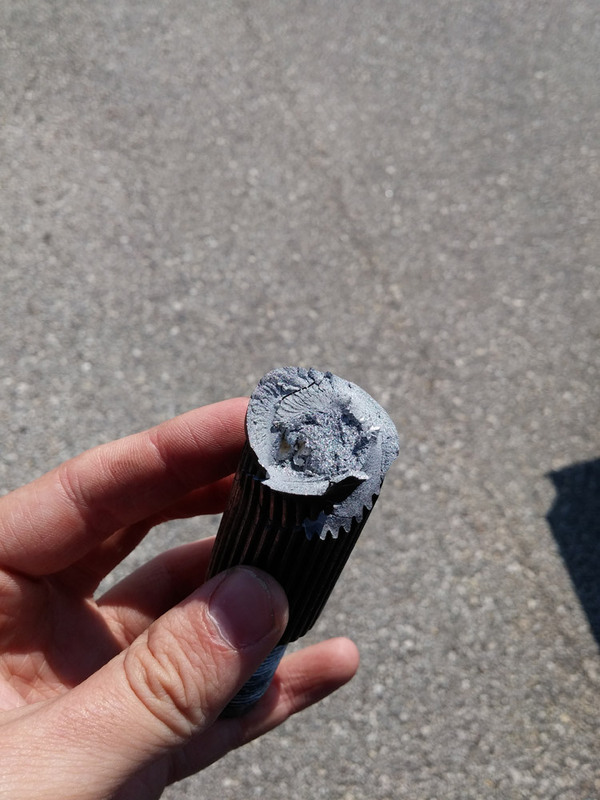 We were able to jerry rig a repair using parts from a early 2000s chevy cavalier axle from a parts store, but didn't try any digs after that as I doubt it would have held up any better. Car is killer from a roll though. It hooks decent on a prepped track, concrete, or anything with good texture. Gets tail happy on old or slick asphalt. Highest IAT I saw was 90F on 75F day after about an hour spirited drive on the street. Not the same load as a track but still pretty good. Had some minor issues with it pushing coolant out the overflow which I haven't got to the bottom of yet. 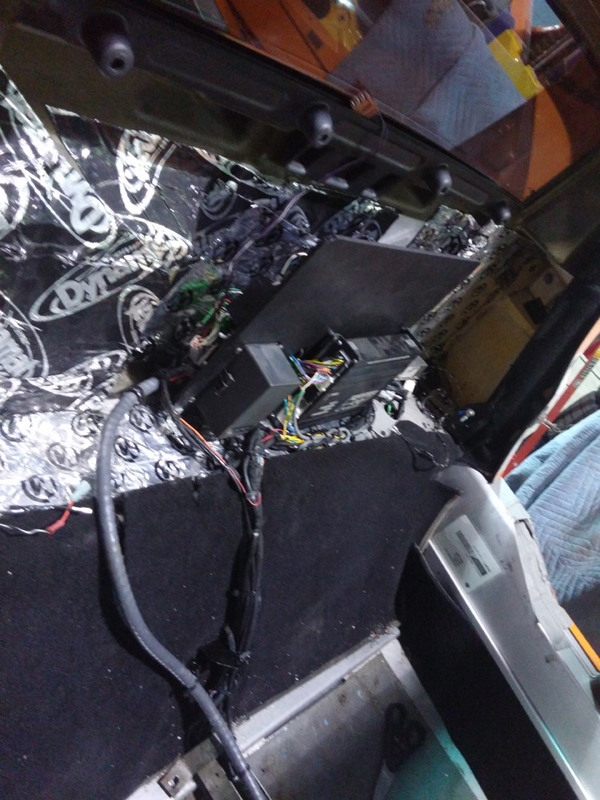 Had some issues with it overheating during parking lot speed and idle which were resolved more or less with some bleeding air out of the system and hot wiring the radiator fans to the ABS fuse so they run all the time. The radiator is getting replaced in the short term in either case. 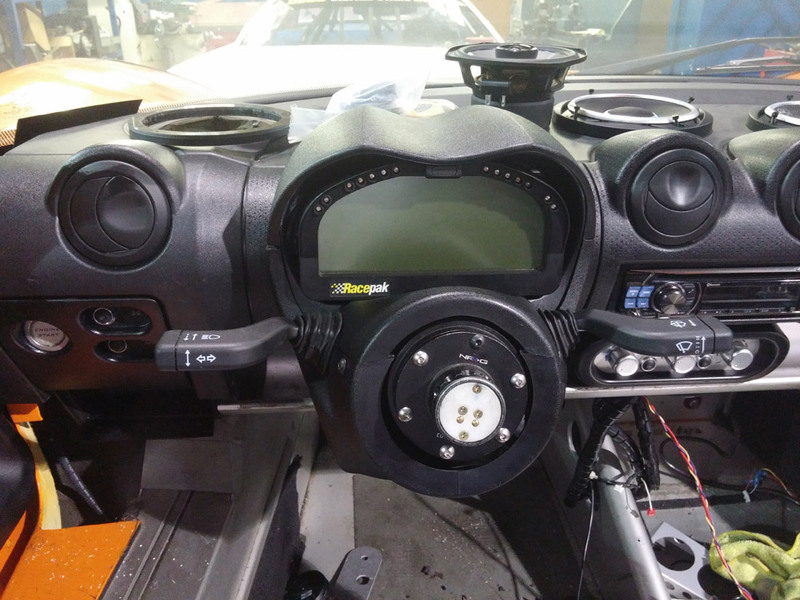 The big plans in the short term are to get a map switch and another tune going so I have something with a flat torque curve shooting for around 300ftlb then a switch flip for kill mode. With spool starting at 4300rpm and in the current tune crossing 300ftlb at around 5300rpm, a redline of around 9200 (which I may lower in the interest of reliability) and the sequential I think that might be usable without swapping out the existing turbo. May end up doing that anyway but I figure I may as well as least run what I have and see how it does. Probably will add a front mount heat exchanger for good measure also. I have a more aggressive splitter and a dual element wing to add as well. With any luck will have it at an autocross test n tune in a few weeks and start the dial in for racing with turns. Last edited by dallasreed; 04-02-2016 at 12:12 PM. Coyne and ERDoc74 like this. I used to run the same width Toyo R888s on my C6. They look freakishly large but with all the power he's making they're not nearly enough. Dallas, a big high five to you for building a hyper space drive Lotus! Came across this video this morning - must be same Elise. And this one just now.